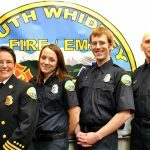 To Reduce the Risk of Fire, Medical and Other Emergencies that Threaten the South Whidbey Community Through Service, Education, and Excellence. 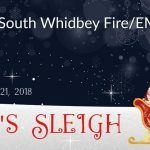 Why is the fire department focused on fire prevention? The fourth and last words of our mission statement directly relate to education and prove our devotion to fire prevention. 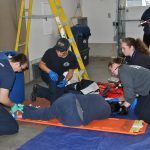 We are committed to teaching you how to help save a life or to protect your property. We do this through a wide variety of ongoing outreach programs, classes, training and educational downloads. Why is fire prevention education important? Because it works! We have documented cases proving that empowerment through education saves lives. It may be as simple as teaching someone to use a fire extinguisher or change the batteries in a smoke detector. 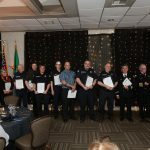 Together we can reduce the number and magnitude of calls the fire department makes. When and where are outreach programs offered? Ongoing activities are planned throughout the year at schools, groups and clubs. Our main focus centers around Fire Prevention Week (the first full week of October). You will also find us at the Island County Fair (usually the second weekend of August). Will a volunteer speak to my service club or neighborhood group? Yes, our volunteers are happy to schedule time to meet with organizations or other community groups. Gatherings of at least five (or more) are a good size. We hope to hear from you. 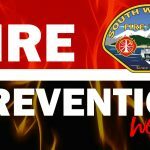 For more information contact Jerry Beck, Fire Prevention Officer (fpo@swfe.org) or call 360.321.1120. Thank you for your interest. U.S. Fire Administration is the official Web site of the U.S. Fire Administration and the National Fire Academy. Here you will find training and educational opportunities for the Fire Service and allied organizations. Also available are fire statistics, public fire education campaign materials, and information on funding opportunities. Federal travelers will find a directory of approved, fire-safe hotels, and for citizens, we offer information on home fire safety.